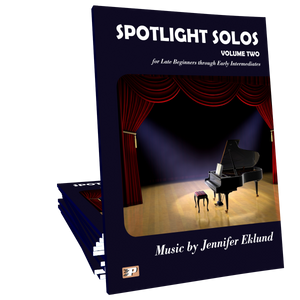 Fun Piano Solos combo pack features includes a copy of Jennifer Eklund's Spotlight Solos and her Dog Days Songbook. 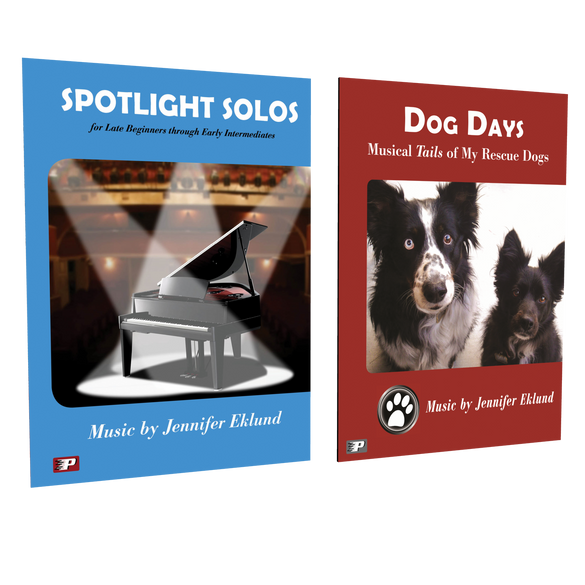 Books included: Dog Days & Spotlight Solos Volume 1. My teen students really love both these books. Sometimes they hear me play the pieces as we explore which they want to start with and they assume because the songs are so full and exciting that they will be too hard to learn! But patterns are simply laid out and the spacing of the print makes it easy to mark up and color similar patterns so students learn how to process something that sounds more difficult than it really is. Love both these books.